I spend a lot of time sitting, at least when I am working at the computer. When I am at work or working from home, I try to take a lot of breaks to move around, as I don’t like to sit for long periods of time. But the reality is, that I end up sitting for long periods, and it is just not good for you. 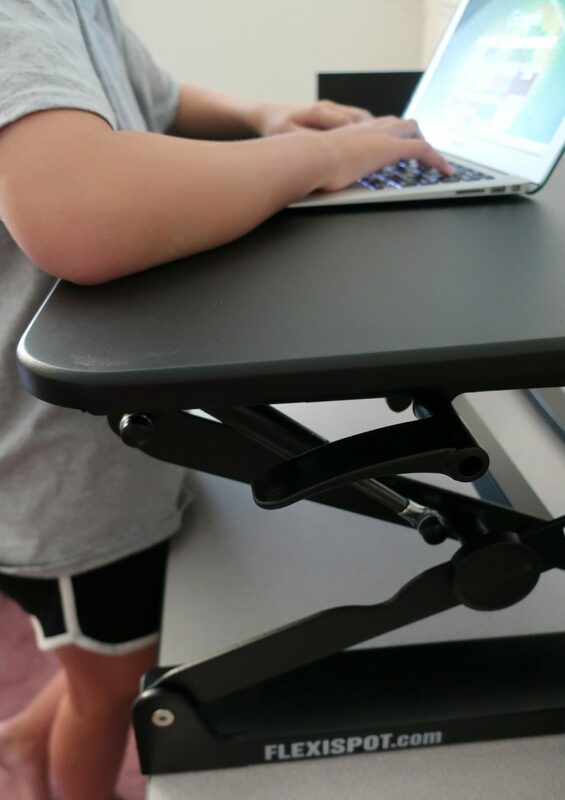 I was excited to discover that there is such thing as a desk converter, which allows you to raise your desk to a standing height. 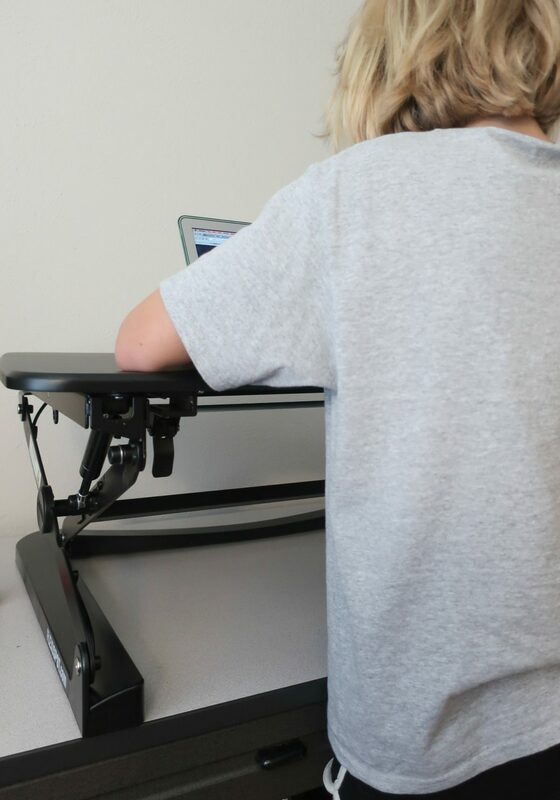 The FlexiSpot M2B Standing Desk allows you to adjust the height of your desk to a comfortable standing height. Setting up the Flexispot Standing Desk was simple. It comes mostly assembled and you can choose whether or not to use the keyboard tray. 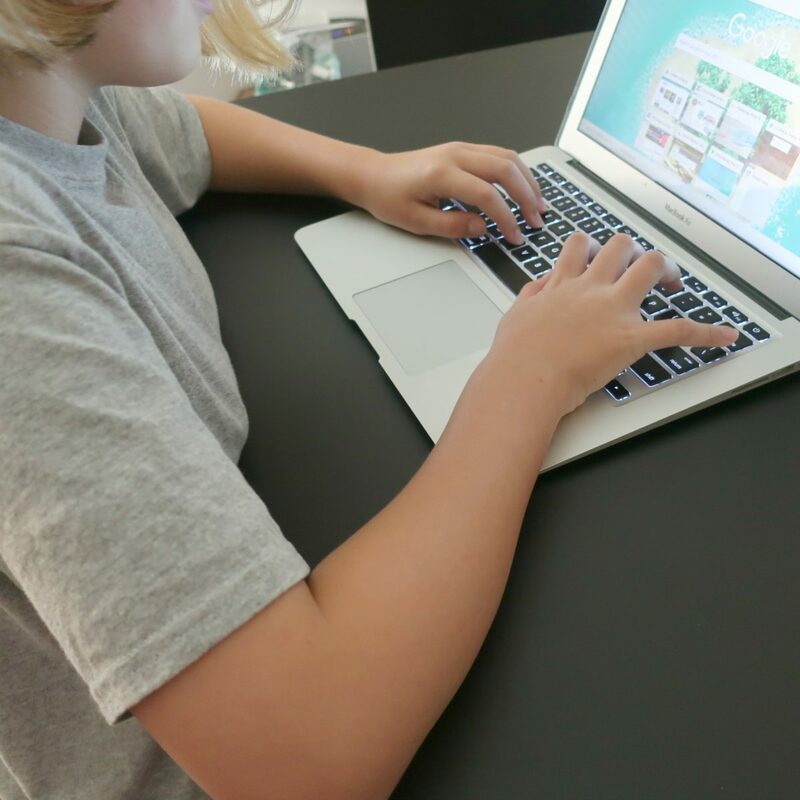 In our case, we use laptops, so we don’t need the tray, but it is a great option to have. If you decide to add or remove it, it takes just a few seconds. I think it would be wonderful to have this at work and be able to stand at your desk during the day. We use it at home, and it is nice to have the option of a standing computer station. The height is very easily adjustable, and can be changed according to your height and personal preference. It folds to just a few inches, so you have wide range of adjustment. The top of the desk has plenty of space to work, and is comfortable. The entire desk is also very solid, and is very heavy and sturdy. I never worry about this slipping or sliding, and it has rubber feet to help keep it in place and protect the surface under it as well. This is also more comfortable than using a desk on a counter. If you have ever stood at a counter and used a computer, it doesn’t encourage good posture. It always bothers my wrists (because they are bent at an angle) and it isn’t comfortable. I love our standing desk, and it has been a great way to introduce healthier work habits in our household. I feel better when I stand and use the computer, and I think I also waste less time on the computer because I am more aware of how long I spend doing desk work. 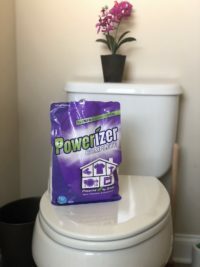 What an awesome product. My computer desk is counter height and I love that I have the option to sit or stand and can change it up throughout the day. This product can provide the same benefit even with a normal desk. My husband has a set up like this at work. I think it would be so helpful with back and shoulder issues. I spend way too much time hunched over. Oh cool! I bet this is so helpful! This is to cool, I need to get one.